It is surprising how we are moving through the year and rapidly approaching the halfway mark for 2018. We have had a busy start to the year and I have personally found this a challenging but very special time as we have had the quiet and reflective focus of Lent and through to the Easter weekend. Increased reflection in services, study groups and quiet day all helped with this. We have another quiet day planned for July to assist us with our continuing spiritual journey. This year we have intentionally planned to encourage a deepening of our relationships with God. We also had our World Earth Day event when we lit our char fire and planted some citrus trees on our paddock next to the Buckland Church. If we manage to be successful in the moving of St Paul’s Church across next to the Buckland Hall we hope that these trees will be helpful to the Buckland School community. The World Earth Day event was part of our planning to help us to deepen our relationship with our environment. John Allen is planning to hold a series of workshops on Sustainability when he has completed the current “Grow your own food” course. We hope this will heighten people’s awareness of caring for God’s rich blessing in creation for which we are entrusted to care. It was helpful to have Romano, a seminarian — at St Patrick’s Church, share with us about the very real effects of climate change on his homeland of Fiji and the surrounding islands. While not ignoring the other aspects of our deepening relationships we are moving into building relationships with one another and the wider community. We celebrated Pentecost with the welcome of people to our 9.30am service with people greeting us in a language from their ancestry. We talked of God’s gift of the Holy Spirit and how we are called to recognise the gifts we have to enhance the lives of others. We were privileged to have our Archdeacon, the Venerable Michael Berry, with us for the morning. The service was followed by a shared lunch with people bringing food that was traditional for their ancestral country. People shared stories and songs from their countries. During June we are about to restart our monthly soup lunches at various parishioners’ homes. We look forward to a time of fellowship and the strengthening of relationships as we get to know each other better. Connecting with our community is our winter pyjamas drive to get warm pyjamas to local children whose school has indicated they are believed to be vulnerable during the cold winter months. We are appealing to the community for pyjamas. We are working on this with Middlemore Foundation, who assist us by sourcing some pyjamas for us.  Of course our regular pastoral programmes run in conjunction with the Selwyn Foundation and Pukekohe Community Action are ongoing ways in which we reach out to the community. Please join with us in any events or programmes that are appropriate for you. I would like to thank everyone who was involved with or supported the recent garage sale. The proceeds this year were $2500 compared with last year’s $1400. Well done and thank you all. Please keep the vulnerable people in our parish and community in your prayers through the winter months. Also please join us in praying for those in leadership of the church and for our unity as a church so that others may see and experience the love of God in all its fullness. This is the first soup lunch for the season and a very successful way of getting to know fellow parishioners. We are hoping to hold a few of these over the winter months. If you would like to attend this event on the 10th, please add your name to the list in the church foyer. If you would be willing to host a soup lunch at your home or if you feel you are unable to do that but would be willing to provide a pot of soup for lunch at someone else’s home please again add your name to that list in the church foyer. You decide how many people you would like to host and let us know. Our first for 2018. Thank you to all who have offered to assist with these. If you are able to stay at the end of breakfast and help with the dishes and cleaning up this would be most appreciated. We are again working with the Middlemore Foundation and the community to provide a pair of new pyjamas for children in our community who the schools identify as being high needs. Any donations towards this collection will be much appreciated. Meet in the Church. All Welcome. Guest Speaker ~ Virginia Warren, who is organising the celebration in Franklin for 125 years since women obtained the vote in NZ, Suffrage 125 Franklin. Finances The parish income is tracking on line with our budget which is predicting a $20,000 loss for the year. The finance committee have looked seriously at the budget and trimmed this where we can. Of course we will be trying to cut costs wherever possible. We do need to take this matter seriously and consider how to increase our income if we are to maintain the current presentation of the property and the ministries we now provide. I ask you all to pray about this situation and if you have any suggestions on possible fundraising or other options for increasing our income please speak to Jan. Our garage sale last week was a good start to our fundraising but this income was already included in the budget. Trees Auckland Council has agreed the large oak tree on the vicarage lawn needs further pruning. Vestry is concerned about this because of the number of trees that have fallen in the high winds this year. The height of the tree will be reduced as well as the length of the branch jutting out over Queen St. The liquidambar tree on the vicarage lawn is to be removed because it continues to lose branches every time we have a storm. Negotiations are continuing over the beech tree by the church and Talith Gibbons, who is a civil engineer, is now working with us in preparing an engineering report to go to the council with our resource consent. Buckland Church Concept plans show the positioning of the church and indications of the installations of a second door into the church, with a ramp. This will allow easier access to the building and improve the safety for people using the building. This is a requirement for the consent to move the building and of course there are more rules and regulations with the building now having historic places status. and help you to live a vibrant life. and care for all those who need your love. and to stand up for respect, dignity and justice. when you feel spiritually dry and empty. discernment and decision making for you. for what is unknown to be revealed. every day of the power of your presence with others. of those with whom you live and work. May you be mindful of the Eternal Flame within you. Seasons for Growth An after-school group held on Thursday for children who have experienced a significant loss or grief in their lives. Adult programme began on 12 March, 7pm. Space for you and baby A group for first-time mums and their babies. Oasis This is the natural progression from Space. As the babies “graduate” at the age of 1 year they transfer through to the playgroups which have music, morning tea, free play and a story with a related craft. There is the time for mums to chat amongst themselves and to build relationships as many are new to Pukekohe. Drop in and see the children having fun. Selwyn Group For the older members of the community. Join in the exercises, chat over a cup of tea or coffee and then enjoy cards, Skip-bo, Bingo or other activities. It is good to see people getting out, mixing with others and on Tuesdays enjoying lunch together. This group runs every Tuesday and Thursday morning from 9.30am.